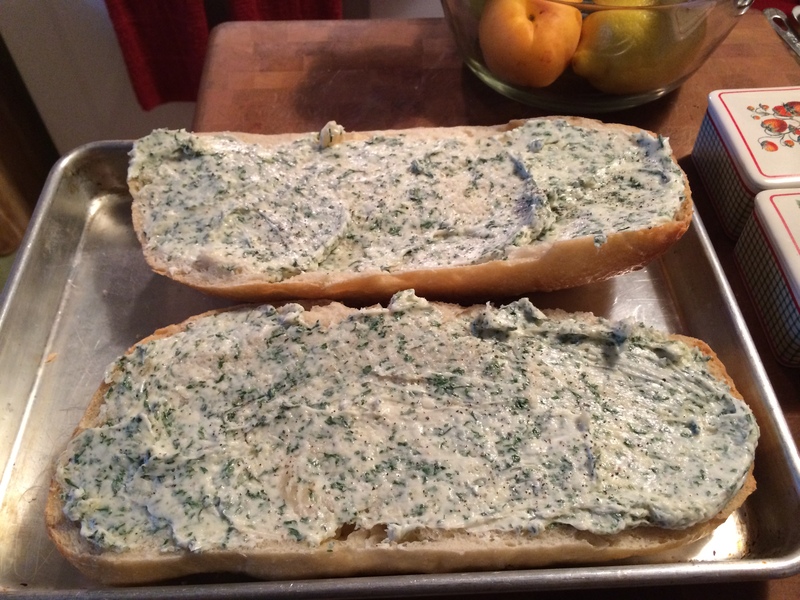 My Cheesy Buttery Garlic Ciabatta Bread is so simple to make, so delicious to eat. I’m using a Tuscan Garlic Ciabatta bread. It’s really important to start out with a really good loaf of bread. Place both halves back together. 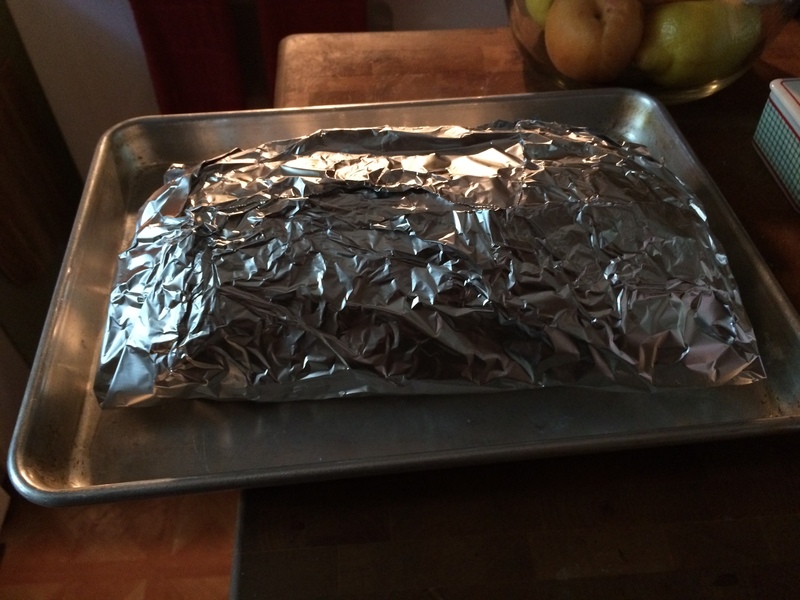 Wrap the whole loaf in foil and bake at 350-degrees F. for 35 minutes. After the 35 minutes is up, remove the bread from the oven. Adjust the setting to broil. 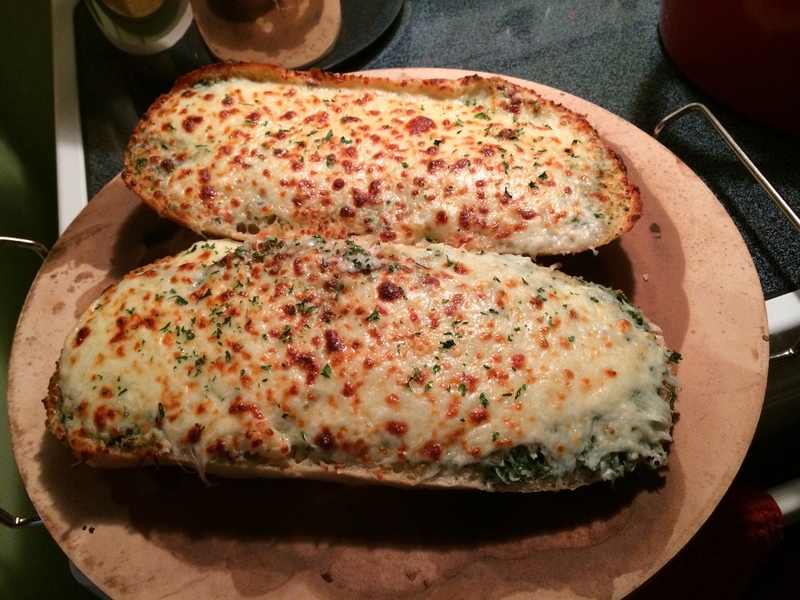 Unwrap the bread and spread evenly the Mozzarella, and grated Parmigiano-Reggiano cheese on each half. Place the bread back into the oven on the center rack. Broil with the oven door slightly ajar. When the cheese is bubbly and golden brown, it’s done. In a large mixing bowl add softened butter, grated garlic, freshly chopped Italian flat-leaf parsley, grated Parmigiano-Reggiano, Kosher salt, and fresh ground black pepper. Mix these ingredients together until combined. Slice in half a whole loaf of the Ciabatta bread down the center lengthwise as seen in the picture above. Spread the butter mixture evenly over both halves. Place the two halves back together once more. 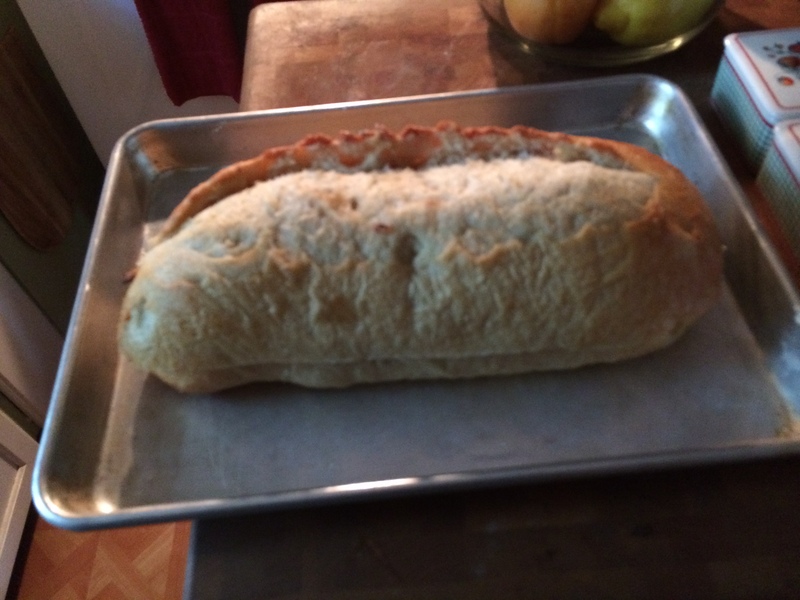 Wrap the whole loaf in foil, place on a rimmed baking sheet pan, bake for 35 minutes. Remove the bread from the oven. Adjust the oven setting to broil. Unwrap the bread and open up the two halves. Sprinkle shredded Mozzarella cheese and more grated Parmigiano-Reggiano over each half. Place the open halves of bread back into the oven on the center rack. Broil with the oven door slightly ajar, keeping a close eye on the bread. When the cheese is bubbly and golden brown, it’s done. This Cheesy Buttery Garlic Ciabatta Bread is ready to slice and serve. I heard about this hidden gem from one of my readers. 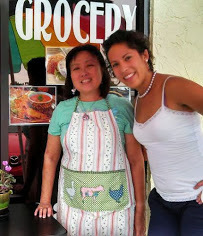 She recently told me I needed to check out Thai Purple Orchid Café. I’ve been doing a bit of research on my own, so on my next day off, Steve and I are going on a short road trip. I’ll no doubt tell you all about our experience. For now, this is just a little something for you to chew on. For more information visit their website at www.purpleorchidcafe.com.